Packing in, and packing out! 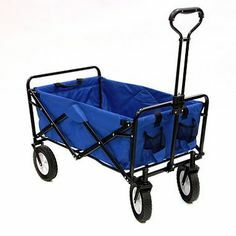 The most lively discussion on my Facebook page right now is where to buy this collapsible wagon? As you can imagine, it will be a terrific help when it comes to lugging camping gear, and even more importantly, hauling your stuff out of the festival. Don’t be a bad camper and leave your tent and sleeping pad behind for others to clean up! Now that you’re gonna pack in and pack out, lets go over what to bring. When can you start camping? That’s right, start partying on Thursday afternoon, but you gotta walk out of there with probably a hangover by Monday at high noon. Also, please know that about 15,000 people stay at this camp site which is the closest accommodation to the festival and cheapest option. 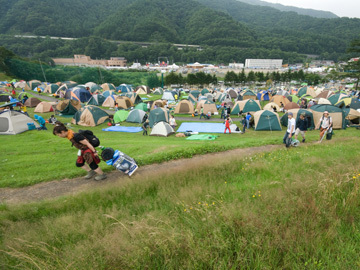 You will need a special camping ticket to enter this area as campers can enjoy some extra amenities such free showers, bathrooms, and hot spring “Naeba Onsen”. Camp Site Consultation will also advise you if you need help pitching a tent or how to build a fire in a specially designated BBQ area. There’s also a “Ladies Only Area” and special food/drink vendors. PLEASE NOTE: those with Pyramid Those with (wristbands) for the PYRAMID GARDEN camp site or MOON CARAVAN site are not permitted use of this area. + Animals, glass bottles, cans, fireworks, explosives and any illegal substances are not allowed into the festival site. + You may bring cameras and/or video cameras into the site but it is strictly prohibited to record the artists. No sound recording equipment is allowed on the site. Use of SELFIE STICKS are not permitted directly in front of stages, at peak congestion times or while walking. Got it? Now you’re ready to go.